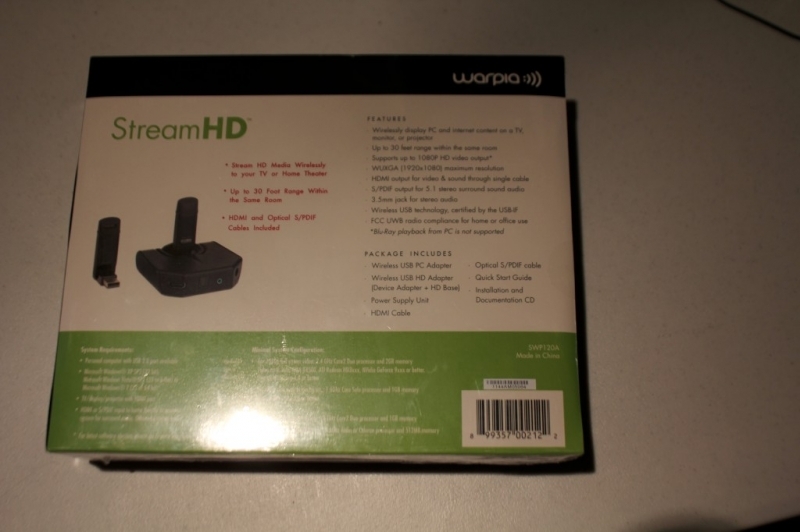 The SteamHD joins a long line of products from Warpia designed to make it extremely easy to stream your desktop and your digital media wireless to another display, such as a HDTV or projector. 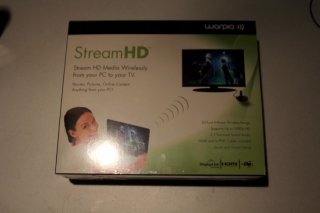 The key word here is “wireless.” With the StreamHD you are able to stream 5.1 surround-sound audio and full 1080p content, all wireless, all without being chained to a wire! Let’s get the scoop from Warpia. The StreamHD Wireless PC to TV Display Adapter with HDMI, 5.1 surround sound & stereo audio outputs allows users to watch and share any notebook or PC content (such as pictures, movies and presentations) and any Internet content on their HDTV, projector, or monitor without cable limitations and in up to stunning 1080p HD. 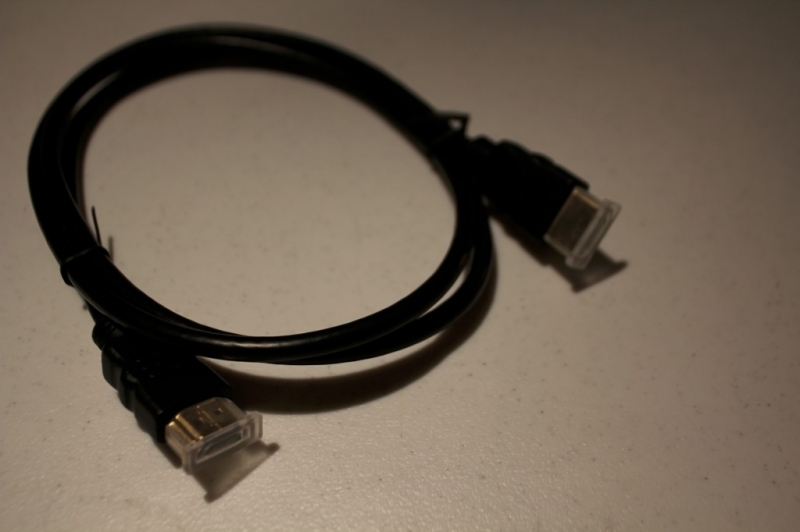 The PC Adapter connects to a USB port available in all notebooks & PC’s, and the Audio/Video Adapter connects to an HDMI port available in flat screen TVs. Stereo audio is supported via the HDMI port (along with the video) or via a seperate 3.5mm audio jack. Use the S/PDIF output for 5.1 surround sound for a stunning wireless audio/video experience. While function is our main concern with a device like this, there is something to be said about the packing of the SteamHD. The device consists of several components, all of which are well packaged and prominently displayed. The device itself actually comes in a few pieces. 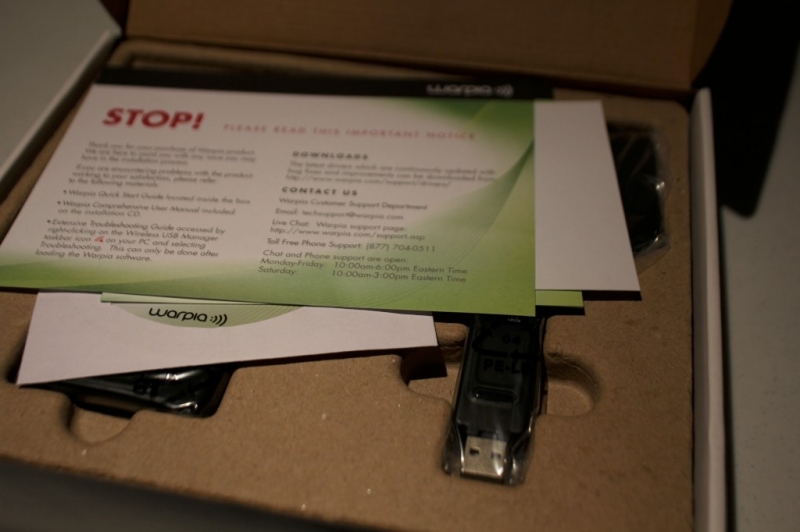 There is the base station, a “L” shaped USB transmitter/receiver intended to be used for your desktop PC or laptop, a regular USB transmitter/receiver for the base station, and several cables. One of the common catch-22’s of media related devices is cables. 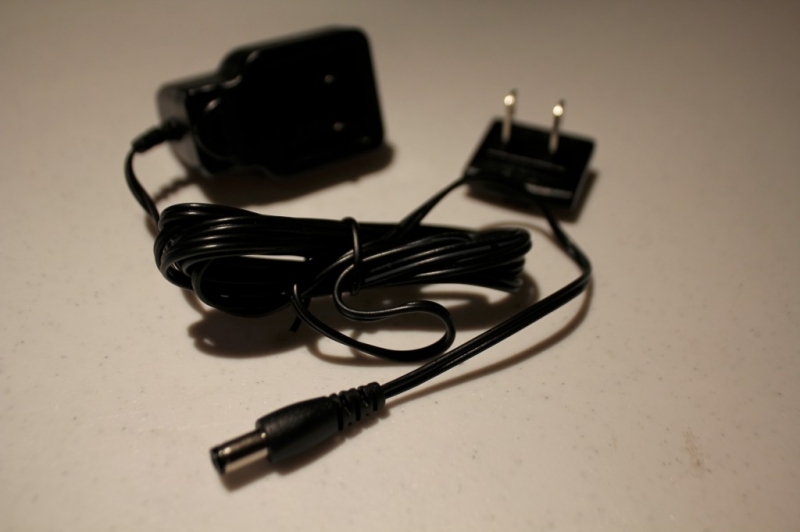 Plainly speaking, it’s very common to buy something that plugs into a TV just to discover that the necessary cables are not included and add to the cost of the device. That is NOT the case with the StreamHD. 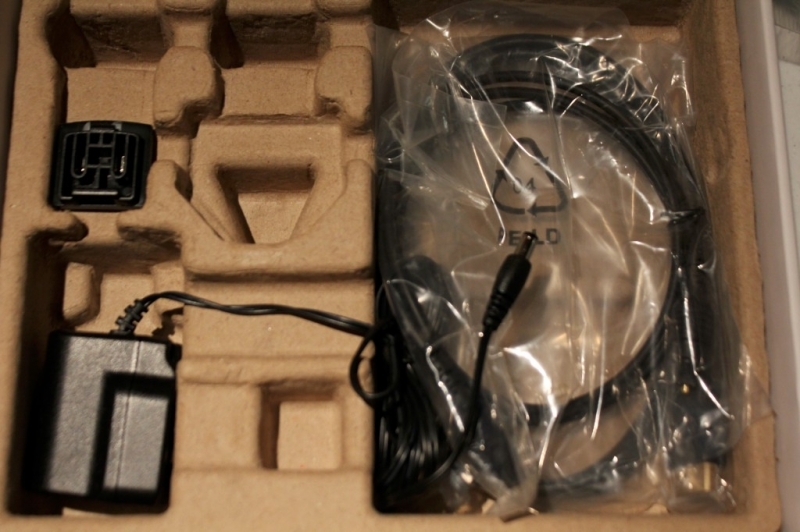 In fact this device came with all the necessary cables, including the power cable, an HDMI cable, and an optical audio (S/PDIF) cable. It’s also good to note that the power cable is modular, so it can accommodate foreign plugs with the right adapter plate.